Now, what I'm getting ready to tell you may make you think I"m just a lazy spinster. While I am, in fact, a lazy spinster, this doesn't actually have anything to do with my indoorsy nature or my sedentary preferences. No, in fact, my hair just doesn't like to be washed every day. It's a good thing, too, because I don't like to wash it. It's long, and it takes forever to dry. On the whole, my hair starts hitting peak performance on the second day after a shower. Now, why am I going on and on about my hair and its bathing preferences? Well, I need to talk about something I knew existed but hadn't tried until a couple of weeks ago. When I wanted to fluff my somewhat limp hair on the second or third day growing up, I wold just sprinkle a little baby powder on the area that needed a little pump, and I'd shake my head and rub it in. In fact, I did that at some point as recently as 2014. The only problem with the baby powder method, though, is that then your head smells like a baby, and you may or may not look like you're trying to bring powdered wigs back. 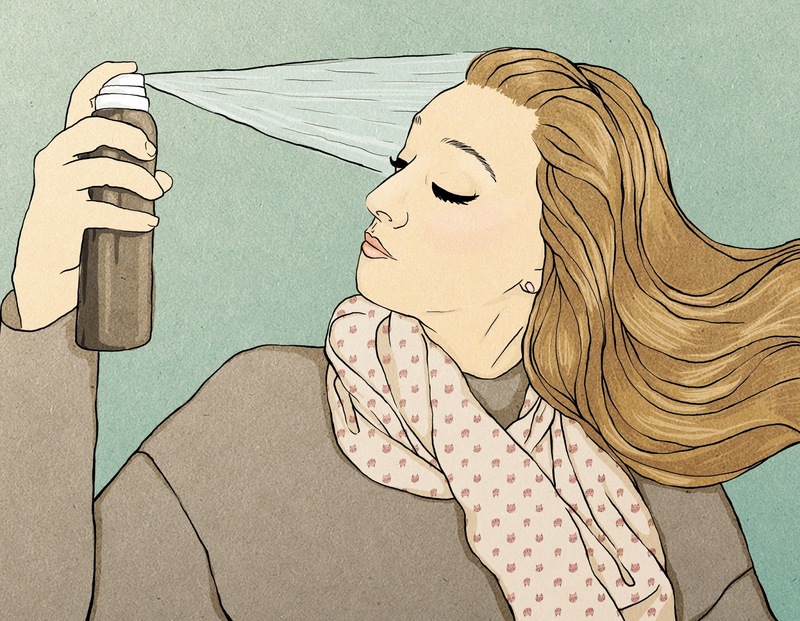 Enter dry shampoo. I purchased can of the Pantene version at CVS on my lunch break a couple weeks ago, sprayed it in, rubbed, shook, and flipped my head over. I looked in my rearview mirror, and voila! My hair was totally refreshed. Of course, the next time I was in Target, I bought a travel-sized bottle so i could keep it in my car. So, if you haven't tried Dry Shampoo yet, and you're at least as lazy as I am, then perhaps it's time to take it for a spin. It's revolutionizing my morning routine. Now I have lots more time to pet my puppy and throw all my clothes on the floor.